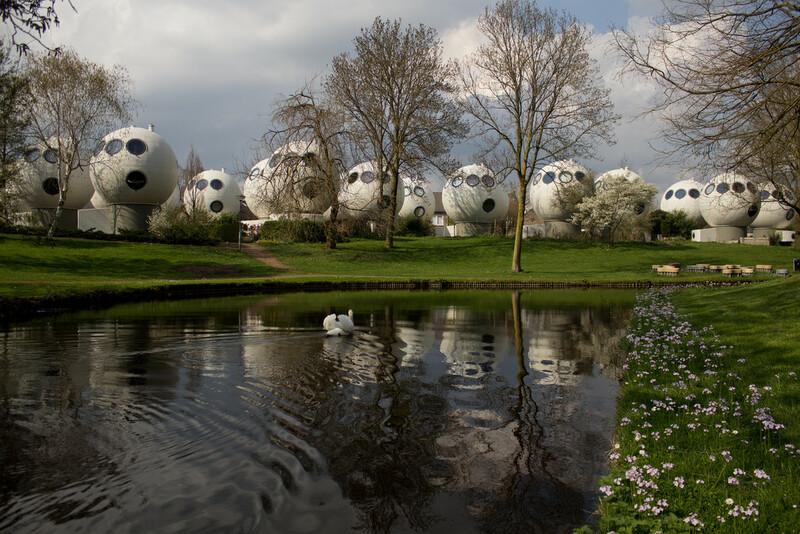 Home News Innovation Have you ever seen these cool futuristic bulb houses in Den Bosch? 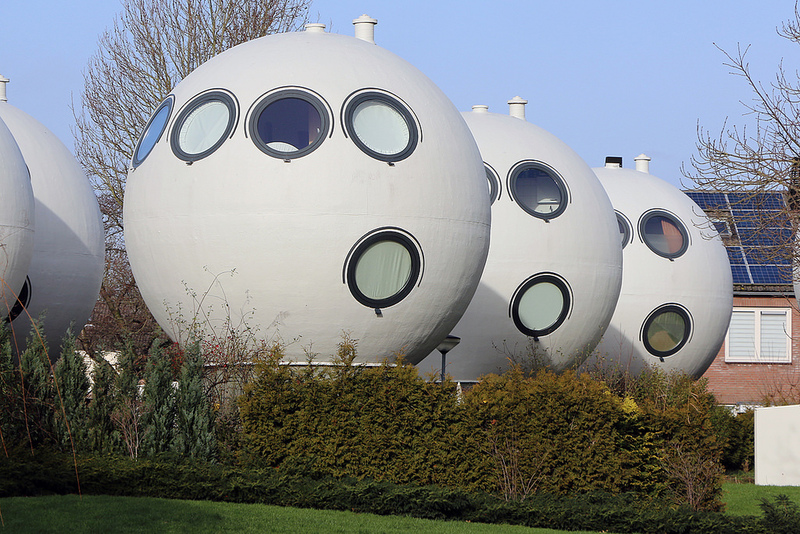 Have you ever seen these cool futuristic bulb houses in Den Bosch? Have you ever seen these bulb houses in Den Bosch? Nope, neither have I. 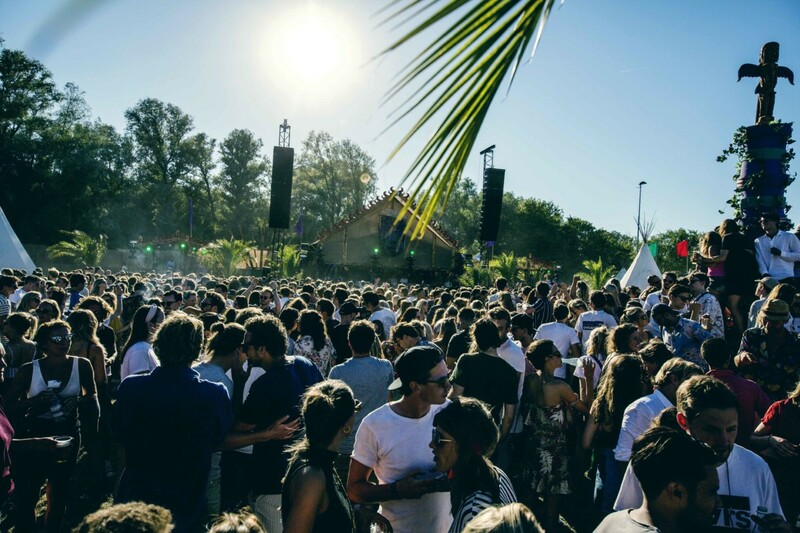 But for the residents of the North of Den Bosch, it’s been part of the landscape since the 80s (and yes, they really have been there for that long). In 1984, these bolwoningen (bulb houses) were completed, along with the kubuswoningen (cube houses) located in Rotterdam. It was a year for experimental homes and the cube houses stole the fame, considering it’s located near the heart of the city in Rotterdam. This is what makes the bulb houses so different. 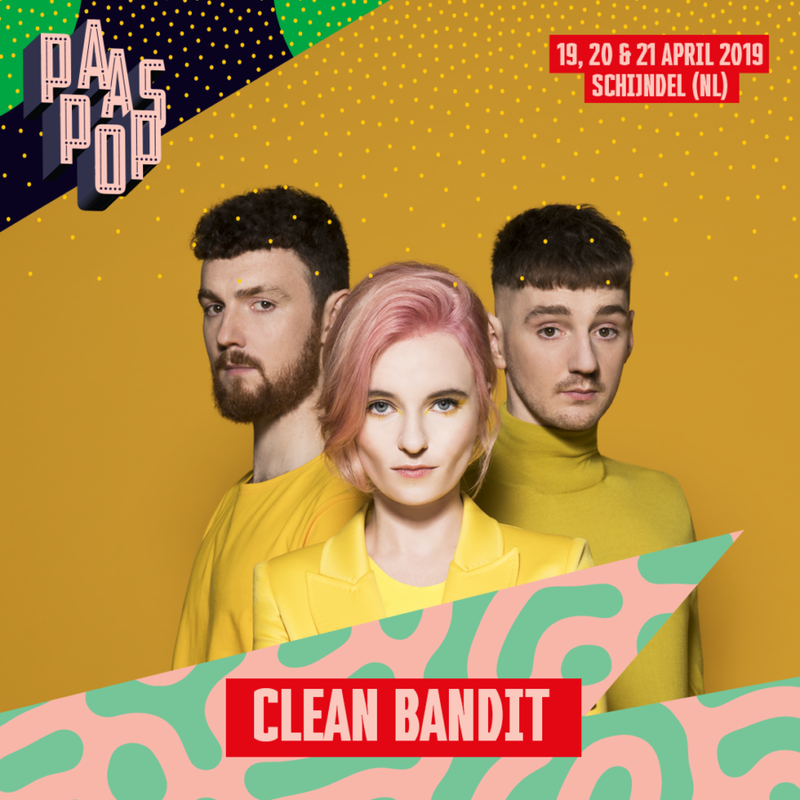 They are located in just a regular residential area filled with bulb houses in Den Bosch, so it really starts out among the rest of the city. 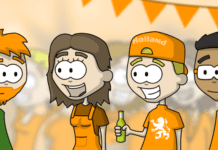 It has attracted a lot of attention over the years and people from abroad and from the Netherlands still come to see the houses for themselves. 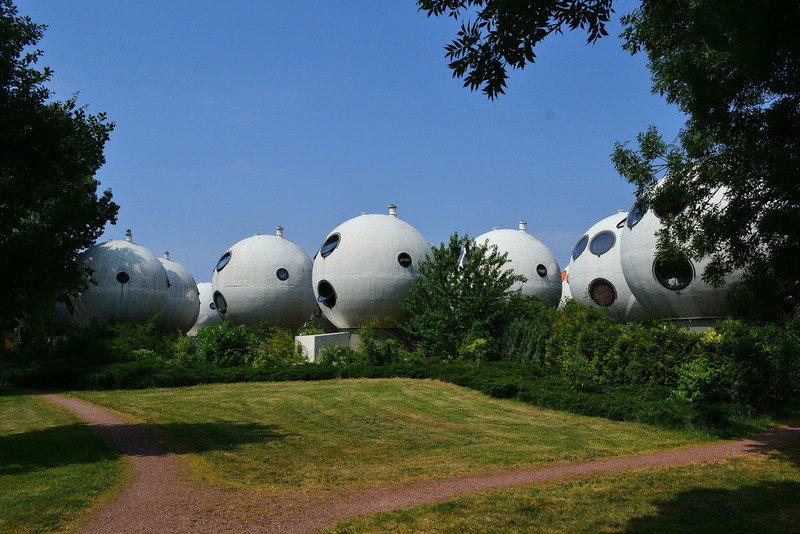 These ‘bulb’ houses were designed by the architect Dries Kreijkamp, who had a passion for designing out-of-the-ordinary homes. He became fixated on houses shaped like spheres as he felt that this was the way forward when it came to housing. He compared it to clay huts and igloos and argued that our world is also a sphere and the shape is the perfect way to create a sustainable home. Therefore, his aim was to create something that made people more involved in nature, which is why the bulb houses are built surrounded by grass and canals, and the windows are rounded (360-degree view). It was also the perfect way to create an environmentally-friendly home, as the wind glides over the houses because they are circular. This means that most of the drafts are kept out, and the houses can sustain more heat. This makes it a lot cheaper to live in. It didn’t come easily though. Initially, the houses were not provided with funding and once they were eventually built, they had issues with the houses sinking and cracking and were threatened with demolition until the issues were fixed. He thought the houses would take off, considering the initial attention, so he even prepared for them to be mass produced. Sadly, he died in 2014 and so no other bulb houses stand. All of the important questions are being asked here. I wondered this myself – especially as if visited the cube houses in Rotterdam and the whole shape of the place just completely messed with my brain. Well apparently the living room is at the very top of the bulb house, the shower and toilet are located in the middle (which is strange because I’m sure that would be the largest part of the house – I would want a big bedroom! ), and at the bottom are storage areas and the bedrooms. Of course, this place is only suitable for one person or a couple who wouldn’t mind living in a tight space. When you look inside though, it doesn’t look as small as you would initially think. If you’re dying for a visit, then the bulb houses are located in Den Bosch, in the neighbourhood Maaspoort. This area is surrounded by typical Dutch housing until you arrive at 50 bulb houses. They definitely stand out! Have you ever been to these bulb houses in Den Bosch? Let us know in the comments! 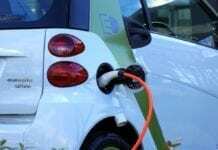 Plug Me In: Dutchie does the ultimate roadtrip from the Netherlands to Australia without any gas!